We are pleased to present below all posts tagged with 'script'. If you still can't find what you are looking for, try using the search box. Welcome back to part 2 of my short series of using AutoSPInstaller to build a 3-tier multiple server SharePoint farm. Last time we looked at all of the work we needed to do to get setup and discussed what our end goal was. Now we can get down to business and start some installation! I’ll walk you through the most critical part – creating your answer file, then the installation itself. In this 2-part series I am going to take you through all of the necessary steps to use autospinstaller to build a 3 server farm doing remote installations on Windows Server 2012 R2 with SharePoint 2013 recent CU. (When I say all, I am referring to the SharePoint relevant pieces and the autospinstaller.) 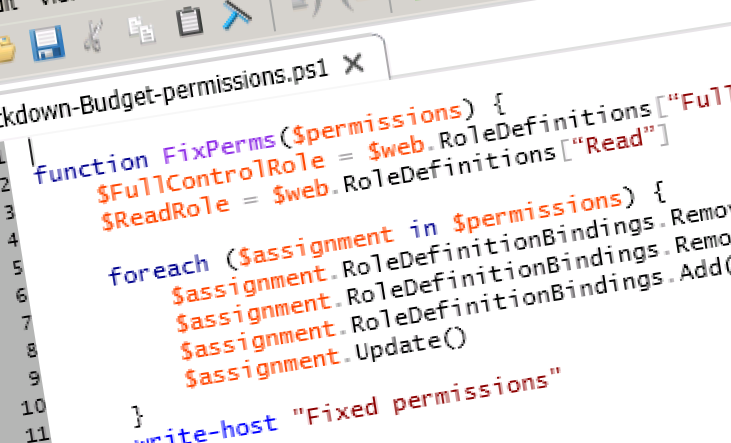 Continue reading for SharePoint 2013 (2010) installation.